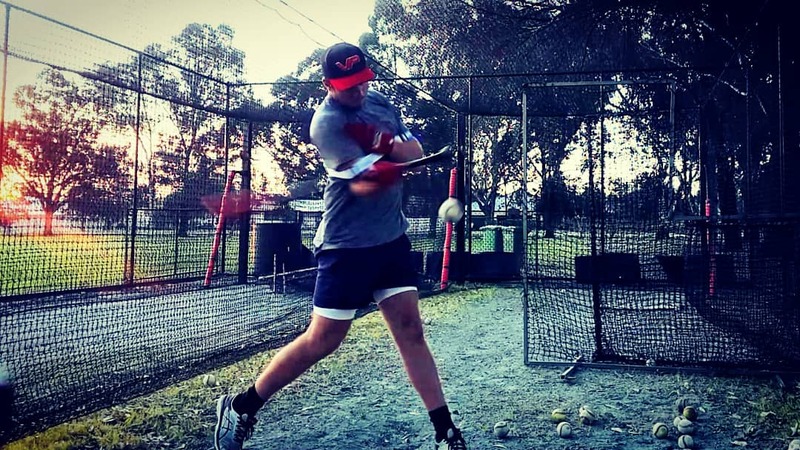 Swings per round – 20. 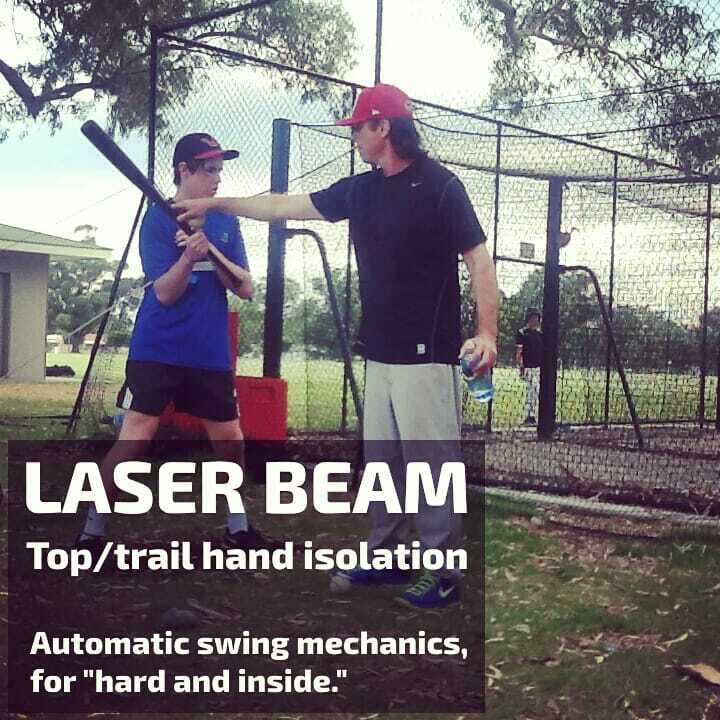 Set Up – Both arms inside your Laser Power Swing Trainer. Grip for Right-Handed Hitters – Right-hand grips the bat, shorten up 3-6 inches. Place your left-hand on your right shoulder. 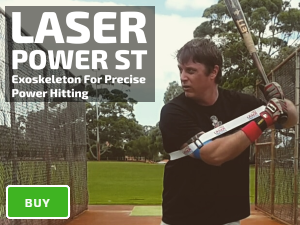 Grip for Left-Handed Hitters – Left-hand holds the bat, shorten up 3-6 inches. Place your right-hand on your left shoulder. 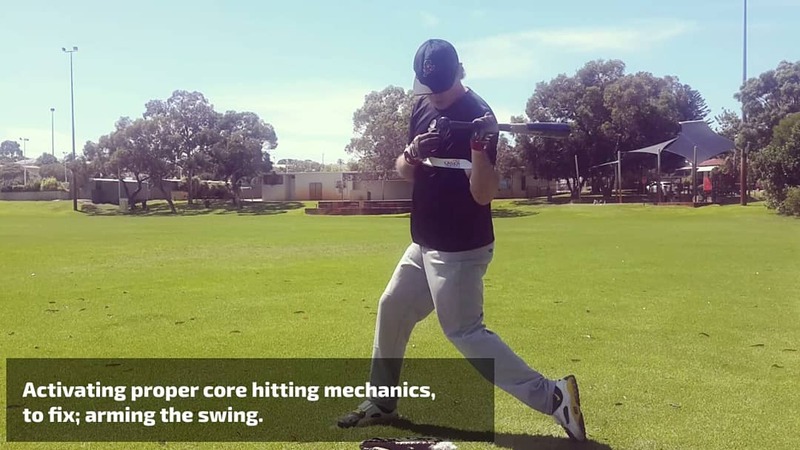 Use a heavy wood training bat and swing the bat with your core. To increase bat speed, you need to isolate the explosion phase of your swing; starting with your hands at the top of the strike zone and with your back elbow close to your rib cage. Keep your weight on the inside balls of your feet in a spread out stance. Load against your back leg, avoid putting too much weight on your leg, bending your knees past your toes, you’ll dis-engage your core. Toss the ball in between thigh and belly button high, and toss in between your front hip and belly button; replicating a pitch high and contact closer to your body, akin to a game day fastball where you’ve less time to react. 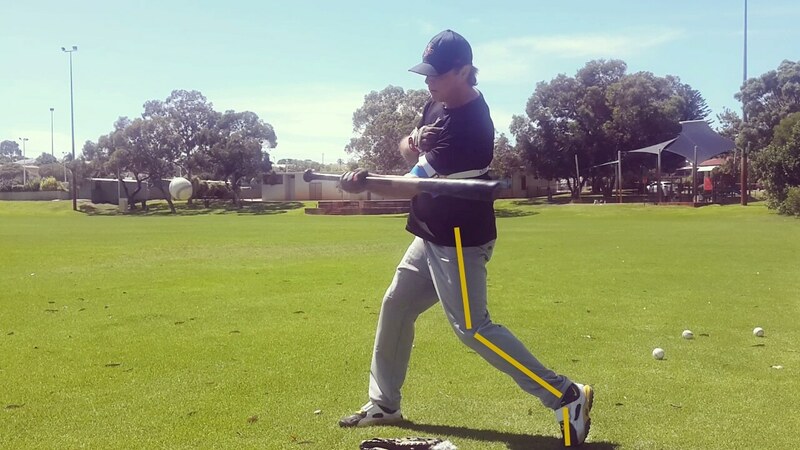 Start your swing with a small in turn of your front knee. Allow your hips to start your swing and whip your arms to the ball. Rotate your back foot from your hips, DON’T rotate your back foot from the ground up. Coaches can keep an eye on the back foot throughout the drill, making sure you’re turning your toes. Keep the bat as flat as possible at contact. Your forearms have to work hard to keep the barrel of a heavy bat level, improving bat speed, and power when returning to your game day bat. Keep your head down at contact and on your follow through. If you have trouble keeping your head down, place a hat or ball in front of home plate, ensuring your look in this direction after contact. 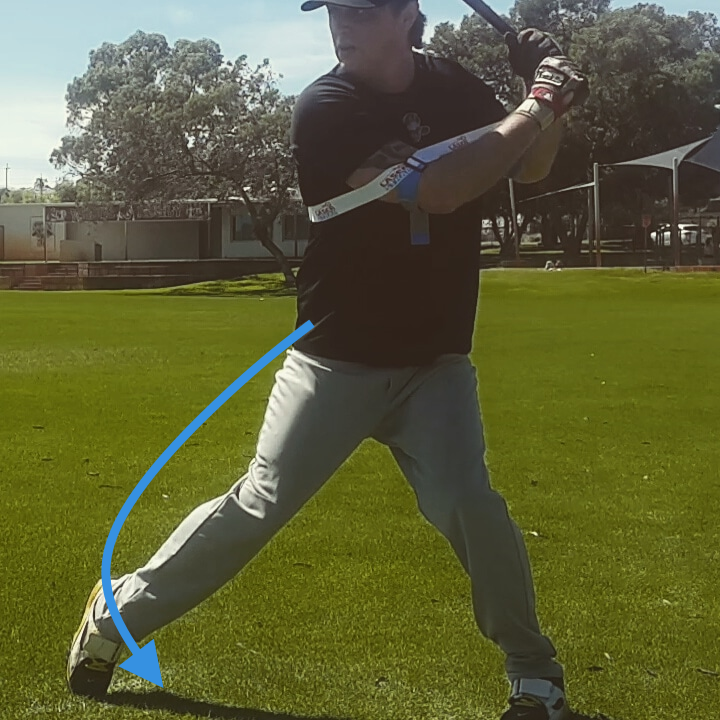 Don’t roll your wrists before of at contact, hold off until you feel pressure on your rear shoulder, signally over-extension. 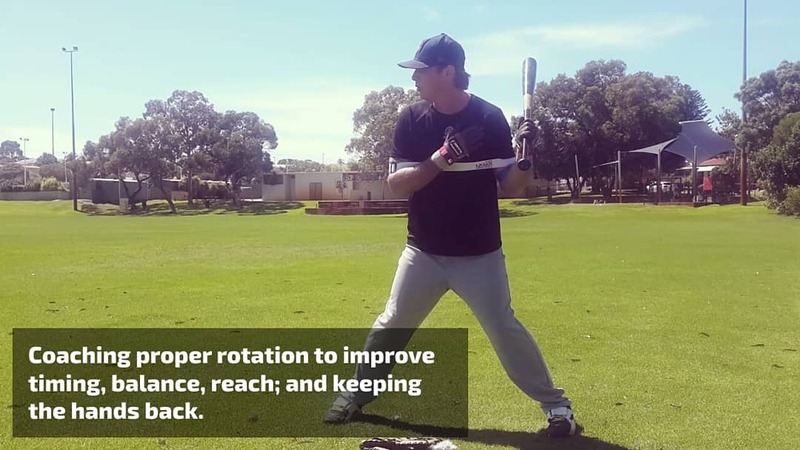 To maximize bat speed keep your swing plane flat all the way through your swing. 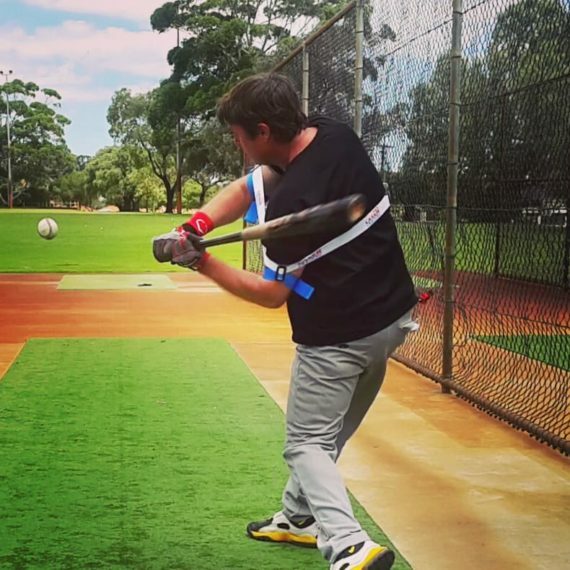 Avoid trying to lift on the follow through. Making contact with the high ball with a flat plane bat provides the lift. Otherwise, you’ll knock your head off the ball, over-rotate on your back foot, and fall off-balance.